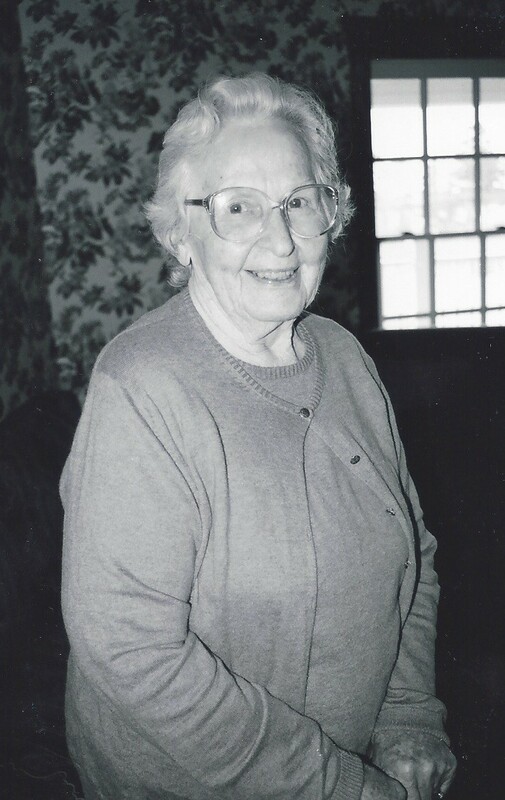 Margaret Theresa (McKenna) Fraga passed away May 3, 2014, at Fletcher Allen Health Care in Burlington. Vt. She was born June 6, 1915, in New Bedford, Mass., to Charles and Elizabeth (Quirk) McKenna. She was one of 11 brothers and sisters. Margaret married Louis Fraga in 1945 in St Lawrence Church in New Bedford. She was a member of Home Dem and Senior Citizens of South Burlington, Vt. and was a parishioner of St. John Vianney Catholic Church. Left to cherish her memory are her seven children: Aloyse Rowley of Burlington, Louis (Linda) Fraga of Uxbridge, Mass., Margaret Fitzgerald of Colorado, Thomas (Eileen) of Winooski, Vt., Arlene (Michael) O’Rourke of Bakersfield, Vt., Francis (Janice) Fraga of Lincoln, Vt., and Christine (Peter) Thornton of Old Town, Maine; 21 grandchildren and 15 great-grandchildren; one brother, Hugh McKenna of New Bedford; brother-in-law Dr. Norbert (Elsie) Fraga of New Bedford; special nieces and nephews; extended family; and many friends. She was predeceased by her beloved husband, seven sisters and two brothers. The family would like to extend a special thank you to the Lodge at Shelburne Bay. A Mass of Christian Burial will be held 10 a.m. on Friday, May 9 at St. John Vianney Catholic Church in South Burlington. Visitation will be Thursday, May 8 from 6-8 p.m. at LaVigne Funeral Home and Cremation Service, Winooski. Online condolences may be shared with the family at lavignefuneralhome.com.